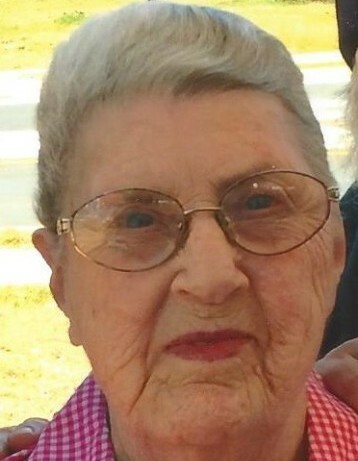 Doris H. Smith (Ida Doris Smith), 93, passed away on Wednesday, March 27, 2019 at 3:33 p.m. She was a Hall County native, born and lived in Flowery Branch. The daughter of the late John Carson Humphrey and Minnie Ida Sims Humphrey is also preceded in death by her husband, James Harold Smith; sisters, Paralee Humphrey and Nell Humphrey Strickland; brothers, Ralph, J. C., Edwin Allen, Henry Ford, and Gene Humphrey. Survivors include her sons, John Ernest Smith and Harold Lee Smith, both of Flowery Branch and a number of nieces and nephews. Doris was a homemaker, leather craftsman, gardener, and seamstress. She loved growing flowers and plants, reading, local history and spending time with her family. Funeral services will be held on Saturday March 30, 2019 at 2:00 p.m. in the chapel of Little & Davenport Funeral Home. Rev. Craig Murray will officiate, with remarks by Bryan Stewart. Interment will follow in the Flowery Branch Cemetery. The family will receive friends at the funeral home Saturday from 11:00 a.m. until the funeral hour. Flowers are welcomed or donations may be made to the Salvation Army of Gainesville, the Cat Rangers at La Maison du Chat of Buford, and Eagle Ranch of Chestnut Mountain.